Have you fallen on hard times and you require instant cash? You should certainly consider a pawn loan because it is a safe method of borrowing money and many are choosing this option in place of going to your local financial institution. 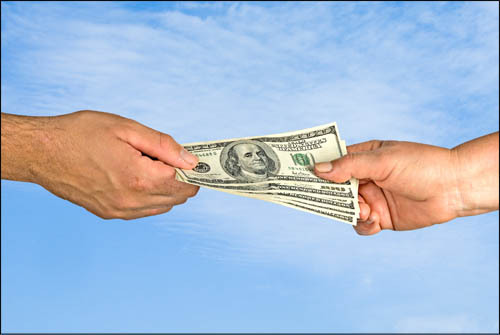 Why should you opt for a collateral loan? No Credit Checks! We don’t care about your credit history. Pawn loans are subject to no such terms and conditions. Quick and Easy! The biggest advantage is that you can obtain instant cash without having to meet complicated requirements and filling out dozens of forms. All you need is a state or government issued ID. Flexible loan terms! Our loans are based on a 30 day payback period. However, by just paying a modest monthly renewal fee, you may continue the loan until you are able to pay it back. If you are unable to pay back your loan in full on its due date, you may choose to get an extension on your loan. With an extension, you will be required to pay a minimal late fee, then you may extend the length of your loan for up to 15 days. You may extend any loan you have with us and we will continue to hold your item and care for your valuables as if they were our own. Keep in mind we are fully insured for your protection. If you are unable to pay back your loan in full on its due date, you may also choose another option to pay your interest called a renewal. With a renewal, you pay the given set of fees, and a new loan is written. The principal loan amount remains the same, as does the interest rate, but the due date is reset for the full loan term. This gives you another 30 days before you need to worry about losing your item. No, your credit is never affected by a loan with us. If you can’t repay or do not wish to repay your loan, it will be forfeited after the term. If you do forfeit your loan with us, we will simply place your item out for sale and nothing is ever reported to a credit agency. In fact you may continue to bring in new merchandise for additional loans anytime you need it. We base pawn loan amounts on the value of your item. Our expert employees have years of experience in appraising the value, based on its current condition and market value. We use all the research tools we have at our disposal to determine an item’s value and get you the most money we can. The appraisal process varies depending on the type of items. For example, jewelry is evaluated differently than a DVD player. We use many tools to help determine the value or your items and get you what you need. We work hard to ensure that our loan values are in line with the general marketplace for pre-owned merchandise. Our brokers have access to the latest prices paid on precious metals and diamonds so we can get you the highest value on your item at any given moment. When jewelry is the collateral, we test the precious metals and diamonds to determine their value. The diamond testing includes a visual inspection using a jeweler’s loupe, weighing the item, sizing (determining carat weight) any stones, and noting the cut/color/clarity of each. You may know this as the 4 Cs. In addition, we test the metal using a special acid that determines the karat of gold. This is done to ensure a clean test so there are no false readings on your item that may detract from what we can loan you. While your item is in pawn, you still own it. It is our responsibility to keep it safe and in good condition while it’s in our care. In many cases your item is safer with us than in your own home. Best Loan and Jewelry has a state of the art security system that is locally monitored 24 hours a day. Only Best Loan & Jewelry has Time-Lock safes to ensure the highest security possible. When you give us an item for pawn, we keep all accessories (remote controls, cables, etc.) with your item and place it in a secure area. Your item is safely stored here until you come back to pay your loan in full and claim your merchandise. We are fully insured for full replacement value of the collateral we keep. If you item is ever lost or damaged you can feel confident that the item will be replaced with a like item.